Our licensed acupuncturist and Traditional Chinese Medicine (TCM) practitioner, Karen Levine, who holds a Diplomate in Acupuncture and Chinese Herbal Medicine has helped patients experience the healing power of this ancient technique since 1987. She is skilled at identifying the root of the presenting problem, offering useful tools to restore balance and well being. Ms. Levine comes to her work with years of professional experience, and continuing education. She has a strong intuitive sense, compassion and is a dedicated healer. Many local Boulder doctors have sent their difficult-to-diagnose patients to see our chiropractor Dr. Kennedy and Acupuncturist Ms. Levine because of their combined talents in finding the source of the presenting problems behind stubborn cases of back or neck pain, headaches and migraines, sciatica and hundreds of other ailments for which patients had struggled to find solutions. Our Boulder acupuncture patients feel better and healthier faster, with fewer visits. Although modern science is just starting to understand how it works, the insertion of thin needles into precise points on the skin has been making people feel better for over 2000 years. In fact, acupuncture is considered standard medical practice across Asia today, and a rapidly growing number of western doctors are discovering its effectiveness. Our Boulder acupuncturist uses sterile, FDA-approved needles that patients can hardly feel. 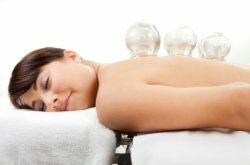 In addition to needling, she also uses traditional cupping and herbal medicines. The treatments are comfortable, and Ms. Levine’s intuitive diagnosis of each patient’s condition addresses the underlying causes of neck or back pain, sciatica, anxiety, headaches and migraines, fatigue, etc. Acupuncturists practicing this essential aspect of TCM diagnose blockages in a patient’s energy flow, which is called Qi (“chee”). Qi flows through “meridians” or energy channels throughout the body that control and regulate the harmonious function of all the body’s systems. Blockages have a variety of causes: accidents, injuries, stress, poor diet, sleep deprivation, etc. Needles inserted at specific points on the skin unblock and rebalance Qi flow. Modern science tells us that these meridians are connected to the body’s connective tissues, which are interspersed with millions of nerves. 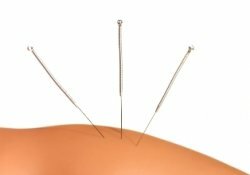 Studies correlate Qi imbalances with dysfunctions in the nervous system, and the needles trigger biochemical changes within the brain that stimulate pain relief and self-healing in tissues near needle insertion sites. Before our acupuncturist treats a patient, Ms. Levine thoroughly interviews the patient and discusses the situation with our chiropractor. Some of the questions she asks may seem unconnected to the patient’s back pain, neck pain, headaches, migraines or stress, but the answers are important; the body is a fully-integrated system where dysfunction in one area can affect the health of other areas. And our goal is to treat the underlying problem for complete resolution of the symptoms and overall good health. If you need relief from a hard-to-treat ailment, Kennedy Chiropractic and Acupuncture’s cutting-edge combination of TCM, modern chiropractic spinal care and neurology can help. Call today to schedule your appointment and to get started on your healing journey!